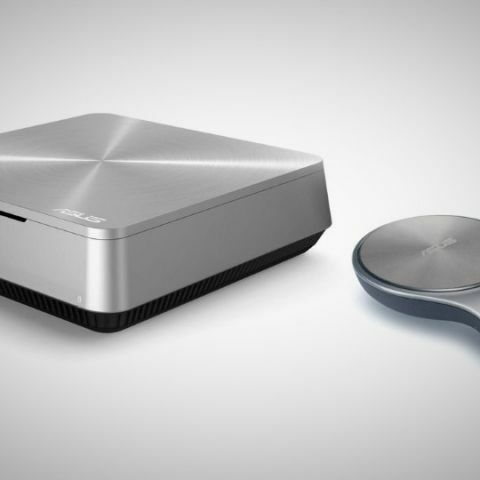 At a time when the size of computing devices is getting smaller by the day, ASUS has come up with their answer to ultra-mini PC's in the form of their very own VivoPC. Let's take a look at it and see what it has to offer. A promotional feature. Taking a stock of what we usually see in the desktop market these days, the general population would be surprised to know that pre-built desktop PC’s still have a good share of the market. Though surprising, this is understandable considering not every consumer is a geek and most of these consumers who belong to the mainstream set don’t want to fuss over various specifications. Don’t get us wrong here as there can also be geeks who are looking for a hassle free system for day-to-day use. This is where the VivoPC from ASUS comes into picture as it’s a pre-built ready-to-use desktop PC. That’s not it, as it’s not just like any other boring and big desktops that you see regularly but instead, it’s a mini-PC, the likes of which are not so easily seen in the market. 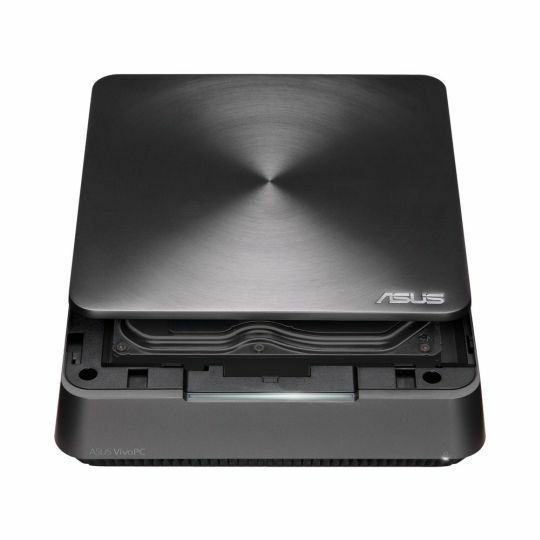 Trust us when we say that it’s a mini-PC as ASUS has literally made this PC from the ground-up to be extremely small that too without losing out on upgrade capabilities. With that said, let’s take a look at what is the VivoPC really and what it has to offer. 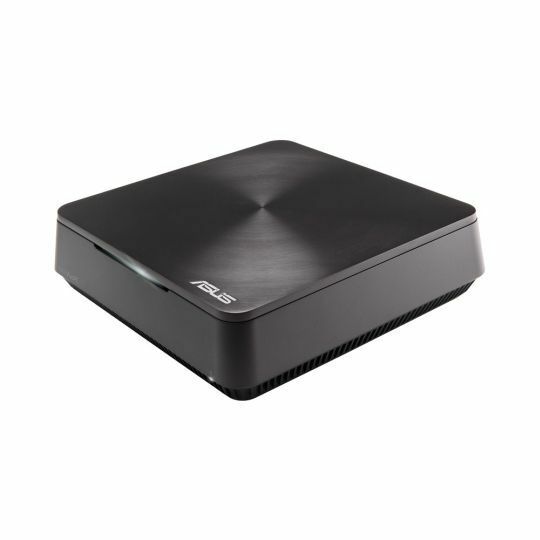 The ASUS VivoPC is a modern, beautiful and working proof of how a mini-PC should look like. 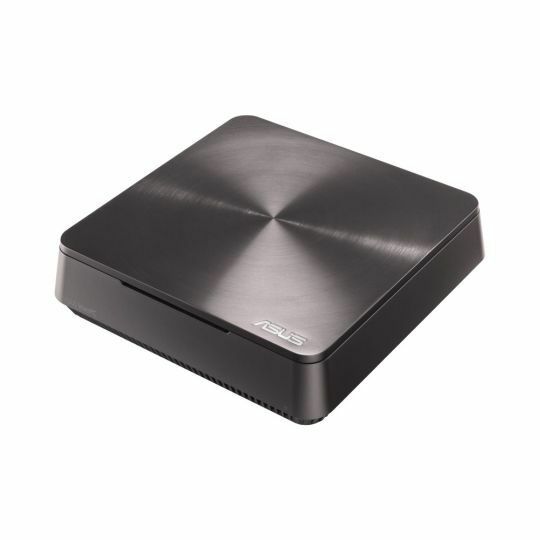 The VivoPC offers all the functionality of a regular desktop minus the size of a traditional desktop. Opening the box you’ll notice that the VivoPC comes very well packaged and is placed right at the center of the box. Apart from the VivoPC itself, the other box contents included are a power adapter, a warranty card, keyboard and mouse. ASUS provides you with an option to buy the VivoMouse WT720 and the metallic keyboard as an add-on with the VivoPC. The most appealing thing about the VivoPC apart from its size has to be its design. The VivoPC has a metallic or chrome feel to it with the top of the PC having a circular brushed aluminium finish which blends with the sides of the PC. There is a solitary ASUS logo on the top panel and the front of the PC has the ASUS VivoPC branding. The rear of the VivoPC is where all the connectivity magic happens. 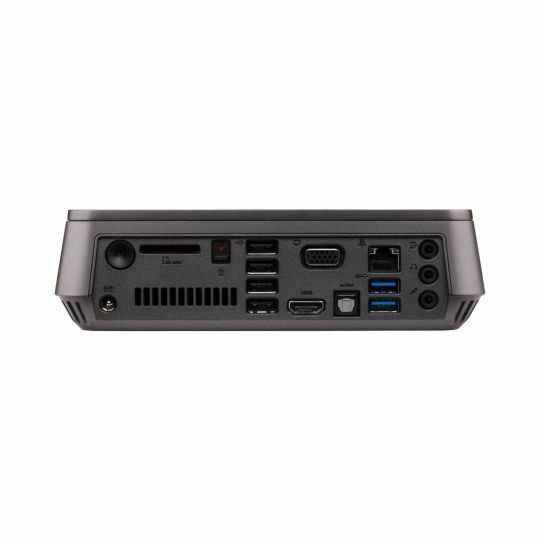 We were surprised to find so many different connectivity options on a mini-PC. We’ll talk more about the various connectivity options in the coming weeks. Other than connectivity, the VivoPC comes with a built-in speakers from ASUS’s famous SonicMaster series that come with MaxxAudio tuning. 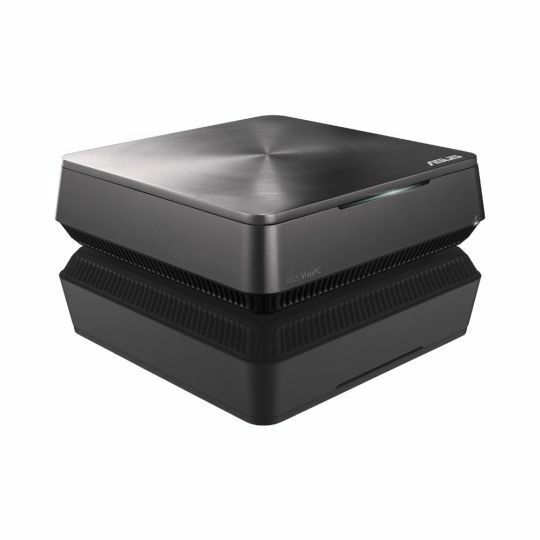 A few of the other amazing features of this little yet functional mini-PC are the addition of built-in 802.11ac dual band Wi-Fi. The 802.11 ac WiFi standard is the latest high speed WiFi standard and supports blazing fast speeds. By using ASUS’s Wi-Fi Go! technology, you can do a ton of different cool things like controlling the VivoPC using your smartphone or tablet. The model that we received for the campaign was the VivoPC VM60 powered by an Intel Core i3-3217U Processor but there are other options available with a different configuration as well. Other than that, the VivoPC comes with dual channel DDR3 SO-DIMM and supports up to 16GB of RAM. Apart from the VivoPC itself, the optional accessories that consumers can go for are the VivoMouse WT720 and the ASUS wireless metallic keyboard. The ASUS VivoMouse WT720 which is a combination of a mouse and a touchpad that also supports gestures in Windows 8 is great. Another good accessory option that ASUS provides for the VivoPC’s keyboard in the form of its metallic keyboard completes the package in terms of both design and features. So, this was our take on the introduction and first look of the ASUS VivoPC. We’ll be doing more in-depth articles on this tiny PC in the coming weeks which would include the VivoMouse, ASUS SonicMaster, ASUS WebStorage, Easy Upgrade and more. You can find our unboxing and first look video of the ASUS VivoPC below followed by its specifications. Watch this space for more. APRP (ASUS Product Registration Program).